There you see Jeff Bailey’s Shame Game at work. If you love Rockwall schools, you better put a sign in your yard. Therefore, anyone who does not put a sign in the yard does not love Rockwall ISD. My thoughts on this newest strategy? Shame on you, Jeff Bailey. Shame on every silent member of the Board of Trustees who look the other way. 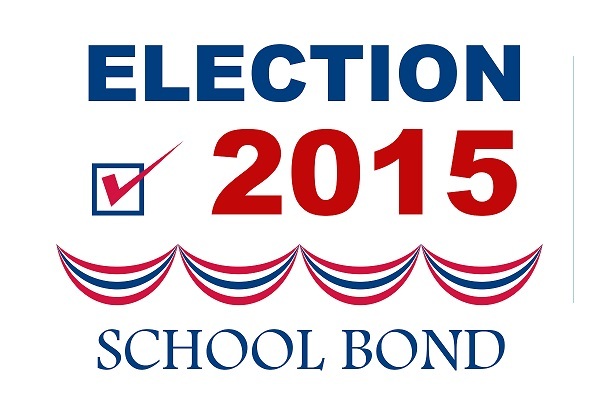 Shame on you for allowing electioneering on our school property and doing so to put children on guilt trips. If Mr. Bailey wishes to deny culpability, I will relay that on to readers. If this ‘shame game’ is not his doing, then I invite him to identify the person or persons responsible. It was done on school property and done on paid school staff time. 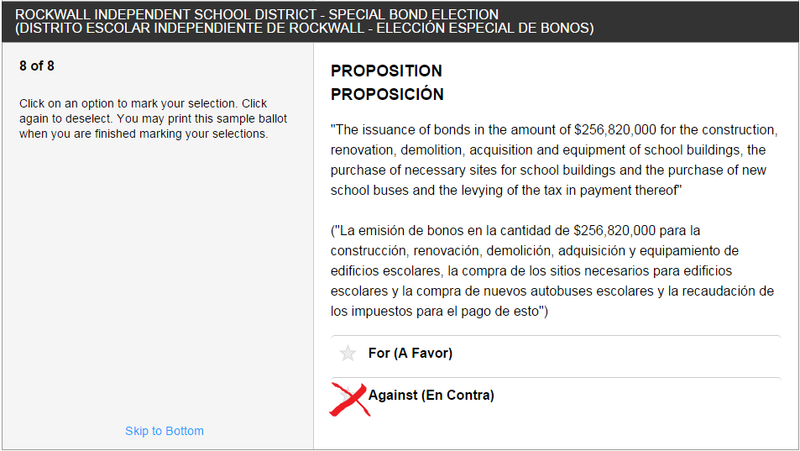 I will go to the polls today to vote Against (En Contra) the 2015 Rockwall ISD Bond proposition. See a sample ballot below. Next Post Meet Nikita Khrushchev – STEM Graduate | Education Model for Rockwall ISD?